Medication reconciliation is not intended as a single event. Rather, as The Joint Commission notes in a Sentinel Event Alert titled Using Medication Reconciliation to Prevent Errors, to be effective and help keep patients safe, medication reconciliation "… should be done at every transition of care in which new medications are ordered or existing orders are rewritten." Transitions in care include changes in setting, service, practitioner, or level of care." To enhance your organization's medication reconciliation process — a worthwhile endeavor considering each year in the United States, serious preventable medication errors occur in 3.8 million inpatient admissions and 3.3 million outpatient visits, according to statistics cited in a Network for Excellence in Health Innovation report — one area to focus on is patient care coordination. By developing and implementing an effective care coordination program, your organization will likely achieve significant improvements in medication reconciliation in the process. Here are three core components of efficient care coordination that can positively affect medication reconciliation. Successful care coordination, according to the Agency for Healthcare Research and Quality (AHRQ), "… addresses potential gaps in meeting patients' interrelated medical, social, developmental, behavioral, educational, informal support system, and financial needs in order to achieve optimal health, wellness, or end-of-life outcomes, according to patient preferences." Such gaps can negatively impact medication reconciliation. They can contribute to communication challenges between providers and patients resulting in the potential for providers to inadequately address a patient's understanding of medication details, which can lead to incomplete or inaccurate information being shared. To help flag such gaps requires that care coordination programs are built around a patient-centered model for care. Mountain States Health Alliance (MSHA), now Ballad Health, follows 10 patient-centered care principles, which it shared with Becker's Hospital Review. The Agency for Healthcare Research and Quality states the following about care coordination: "Care coordination involves deliberately organizing patient care activities and sharing information among all of the participants concerned with a patient's care to achieve safer and more effective care. This means that the patient's needs and preferences are known ahead of time and communicated at the right time to the right people, and that this information is used to provide safe, appropriate, and effective care to the patient." For organizations to effectively achieve these objectives requires the use of electronic solutions. This can include electronic health records; clinical event notifications and task management solutions, as we highlighted in Tools for Improving Patient Outcomes Through Better Care Coordination; and platforms like TrekIT, which we discussed in Our Favorite Healthcare Mobile Apps of 2018. 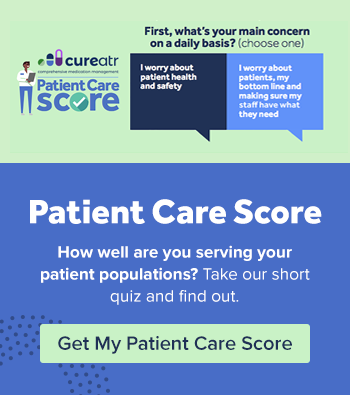 Tools such as these and others can support efforts to ensure communication of timely and accurate medication information between providers as patients travel through the care continuum. The National Quality Forum (NQF) published a report titled "Preferred Practices and Performance Measures for Measuring and Reporting Care Coordination." In the report, NQF endorses a collection of care coordination preferred practices and performance measures. As NQF notes, "These standards will provide the structure, process, and outcome measures required to assess progress toward care coordination goals and to evaluate access, continuity, communication, and tracking of patients across providers and settings." Once a challenge in one of these areas is recognized, organizations can make educated decisions on how to target their improvement initiatives. 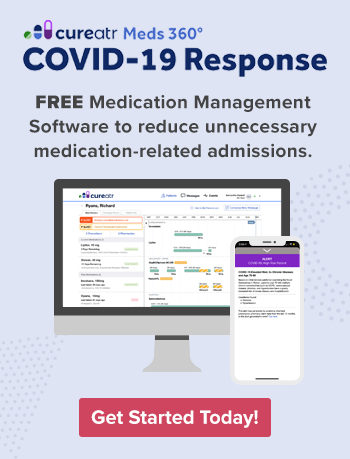 Bringing about positive changes to these and other components for effective care coordination will have a beneficial impact on endeavors to ensure a successful medication reconciliation process.